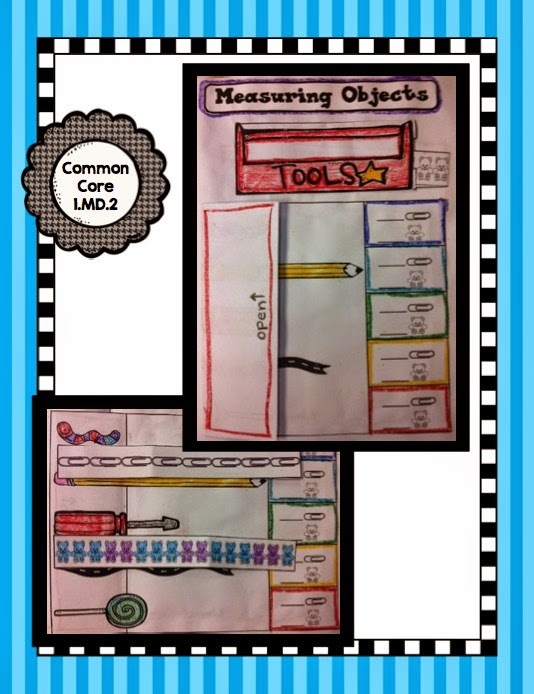 Using interactive notebooks in my classroom has been an amazing way for students to record their thinking process and hold a chronological record of the student’s mathematical thinking over the year. They really take pride in their book. I love being able to solidify a concept with an interactive activity. While I'm passing out the newest foldable or journal entry, they are looking over their old entries and reviewing what they have learned. 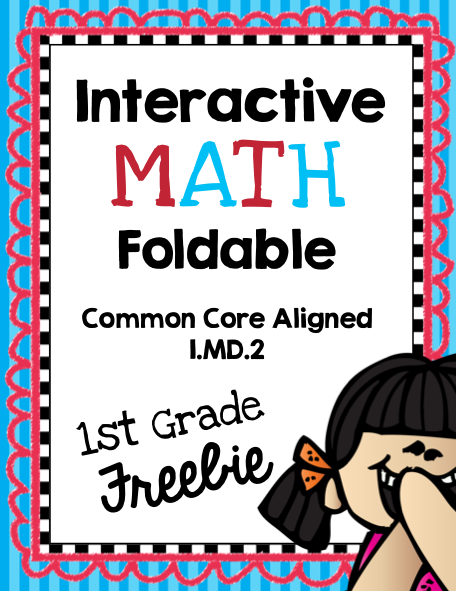 This freebie is a great way to practice the Common Core Standard 1.MD.2. - Express the length of an object as a whole number of length units, by laying multiple copies of a shorter object end to end. Enjoy.